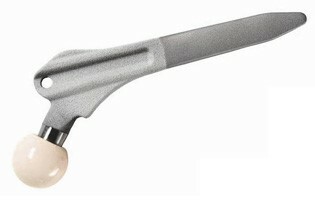 MEDIN, a.s., is a traditional Czech manufacturer of medical instruments and implants. The history of the company dates back to 1949, when a factory with the name Chirana was established in Nové Město na Moravě. The first produced drill bits and dental burs were followed by the production of surgical instruments and traumatological and orthopaedic implants. The company underwent changes following the development of the society, including the change of its name to MEDIN, a.s., in 1992. 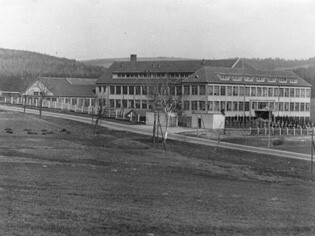 On August 29, 1948 the foundation stone of the Chirana plant is festively laid in Nové Město na Moravě. The plant operation is started on December 15, 1949. The first dental drill bits and laboratory burs are produced in the new Chirana plant. In February 1950, 25 types of the most common surgical instruments are included in the product range. In the course of 1950 the product range is continuously expanding. 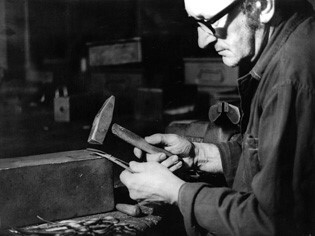 A substantial extension occurred in 1957 through the production of special surgical instruments. 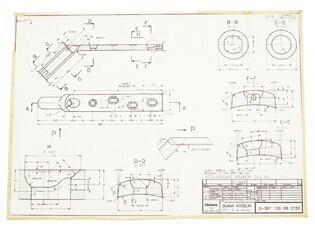 The traumatological specialization is included in the product range in 1990. First on paper, in the subsequent year physically as well; the first traumatological implants for use in human medicine are produced. The state-owned company Chirana Nové Město is included in the first privatization stage. Then, in 1992, the incorporated company MEDIN is established, the legal successor of the state-owned company Chirana Nové Město. Since 1995, the company MEDIN has been a holder of the internationally valid standard ISO 9001. The certificate was issued by the certification company RW TÜV, which confirmed that the quality management system was established, documented and applied in conformity to the requirements of the standard. The independent certification company DET NORSKE VERITAS CZ grants the ISO 13485 certificate to the company MEDIN. A certificate of this standard covers the whole management system of an organization producing or supplying medical devices and related services. As of March 23, 2006 MEDIN, a.s. acquires the company WALTER MEDICA and subsequently changes its name to MEDIN Orthopaedics, a.s. Thus, the company MEDIN extends its product portfolio with orthopaedic implants. The company MEDIN becomes a holder of the ISO 14001 certificate. The certificate was issued by the company DET NORSKE VERITAS CZ and confirms that the environmental management system of the organization complies with the standard requirements. In 2010, the company MEDIN RU is established. Thus, MEDIN, a.s., acquires a company based in Russia. 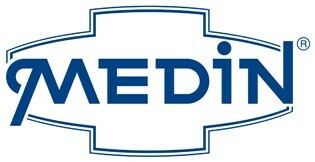 The company MEDIN presents itself with a newly created logo. It replaced the original logo of the company, which had been used since 1992, i.e. since the date MEDIN, a.s., was established. The company MEDIN Slovakia is established in 2012 as a 100% subsidiary of MEDIN, a.s. In January 2013 MEDIN Slovakia s.r.o. actively launches its sales activities. In 2013, the sales team of the company ProSpon is incorporated in the company MEDIN. MEDIN, a.s., becomes an exclusive distributor of the orthopaedic products manufactured by the company ProSpon.